Who Is the Responsible Party in a Driverless Car Accident? Even with a recent accident that resulted in the death of a pedestrian and that was caused by an autonomous car operated by Uber, Florida state senator Jeff Brandes is still pushing to make Florida the helm of self-driving cars. When discussing the accident, which occurred in Arizona, Brandes said that people have to remember that a driver was in the vehicle, as well, and couldn’t react fast enough to keep the accident from happening. The accident wasn’t just the result of a driverless, or autonomous, vehicle. He feels like the accident shouldn’t affect the state’s approach to luring self-driving cars to the area. The state passed a law in 2015 allowing cars to be used without drivers. Because Florida’s laws eliminate the risk for companies that are afraid to test vehicles in states without laws regarding self-driving cars, it makes Florida a forerunner for companies looking to test their new technology. There are already several companies that are trying out different options for driverless vehicles. Ford is trying a delivery service that delivers groceries and pizza in the Miami and Miami Beach areas, and a British company named Voyage has a self-driving taxi that serves the Villages retirement community in North Orlando. With self-driving cars on the fast track to being the norm in Florida, it’s raising the question of who is going to be held responsible if and when an accident occurs involving a self-driving car. In conventional car accidents where a person was driving, the answer was fairly simple: the drivers are in control and so the driver causing the accident is responsible. The answer isn’t so clear when there isn’t a driver in one of the vehicles. Some vehicles are just partially autonomous, which means that humans still have some control. This means that assigning the liability will depend on what situation and actions led to the accident and whether the accident occurred as a result of decisions made by the driver or the vehicle. 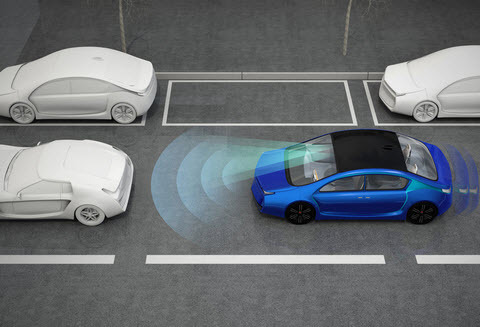 For vehicles that are fully autonomous, the blame could be assigned to many parties, including the vehicle owner, a service center that worked on the vehicle, or the vehicle manufacturer. Manufacturers could be liable if there was a fault in the design or the software program. The service center could be blamed if they provided inadequate services to the vehicle. Negligence could also be blamed on the owner of the vehicle if they failed to use the software provided by the manufacturer correctly or if the accident could have been prevented if the car had been operated by a human driver instead. How Can Fault Be Determined? Fortunately, driverless cars are full of sensors that monitor, measure, and track their every move. If an accident occurs, the information stored by these sensors can be easily retrieved to help reconstruct the scene of the accident. There is, however, risk that one of the potentially liable parties could alter the data to steer the liability away from them. How Can an Attorney Help Me if I Have Been Injured? Attorneys like those at Leifer Law Firm in Boca Raton have years of experience with car accident cases. We can review your accident reports and medical records and determine who the responsible party is in the accident, whether it be the car’s owner, manufacturer, or one of the other possible liable parties. We have the experience and knowledge to work with the necessary experts to handle your case and make sure you get the compensation you deserve.